The Relentless Moves of the Trump/Pence Regime Toward the Consolidation of Fascism. Plus "Members Only"
We'll hear a Q&A that followed the newly released speech: Why We Need An Actual Revolution and How We Can Really Make Revolution. 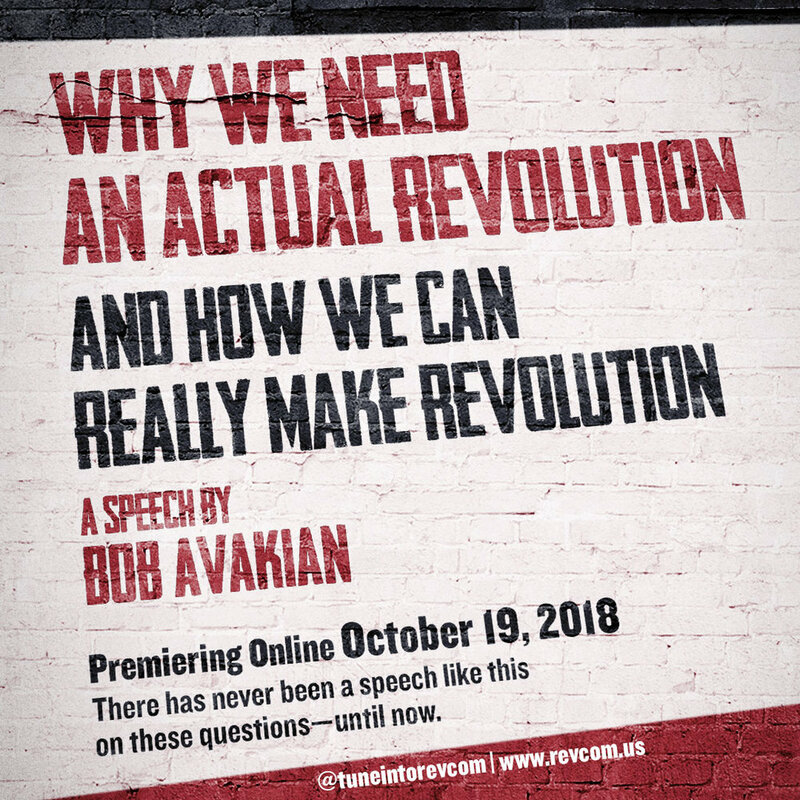 This two part speech was given by Bob Avakian (BA) in the summer of 2018 in several cities. BA is the leader of this revolution and the architect of a new framework for revolution, the new synthesis of communism. We are living in critical and perilous times. The elections set for November 6 are shaping up to be a major political flash point. In rally after Nazi-style rally, Trump has been whipping up his fascist base not only to vote, but to adopt an increasingly aggressive stance to those he has declared to be enemies. In the past week there has been a series of violent fascist political acts, including the murders of 11 Jewish people at the Tree of Life Synagogue in Pittsburgh. 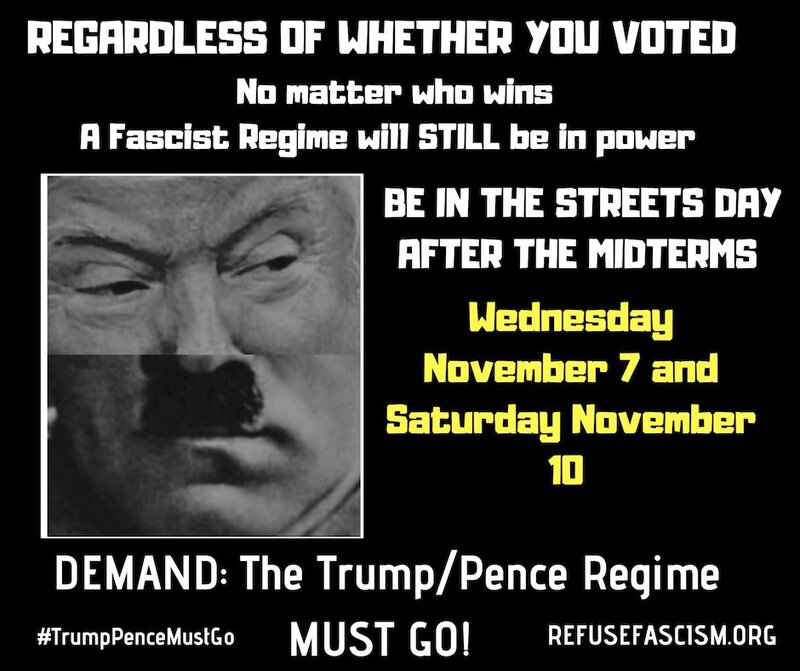 No matter who wins, and whether people vote or not, Refuse Fascism has called for protests November 7, the day after the elections, and November 10, in cities around the US. Andy Zee joins us. He is the spokesperson for Revolution Books, New York City, and a co-initiator of RefuseFascism.org. In Members Only, the long-awaited sequel to the ground breaking Blade to the Heat, 20 years have passed. It is 1982 in New York City: the golden age of boxing, the dying gasp of disco, and the flowering of identity politics. Pedro Quinn is well past 40 and still fighting, not only for championships but for the right to be himself, on his own terms. He even has a protege, a young female boxer who reminds him of his own youthful fights in an out of the ring. But when a detached retina threatens to end the only life he knows, and when old frenemies Vinal and Sarita want to make a movie about the champion he killed in the ring 20 years ago, Quinn can no longer hide from the ghosts of his past.